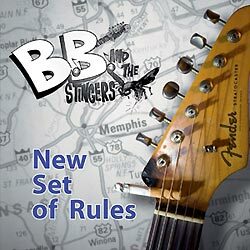 The long-awaited third CD from New Jersey guitar hero Bernie "B.B." Brausewetter and his blues-rock power trio B.B. & The Stingers. This collection runs the gamut from traditional blues to heavy rock, Texas swing, Hendrixian psychedelia and rockabilly.